Outfit Details: Boyfriend plaid shirt from Gap found here. Cobalt Blue Brocade Skirt from Topshop (found in store, similar online here). 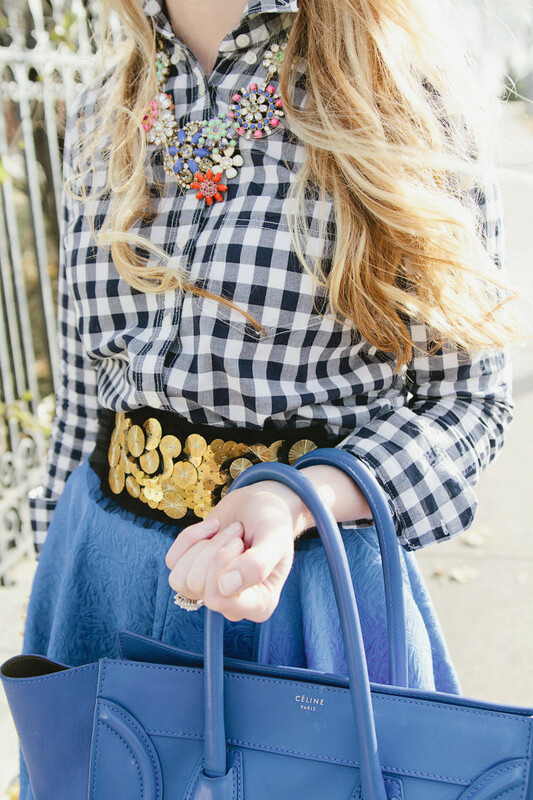 Jewel Floral Statement Necklace from J.Crew . Gold starburst belt by BCBG Maxazria. 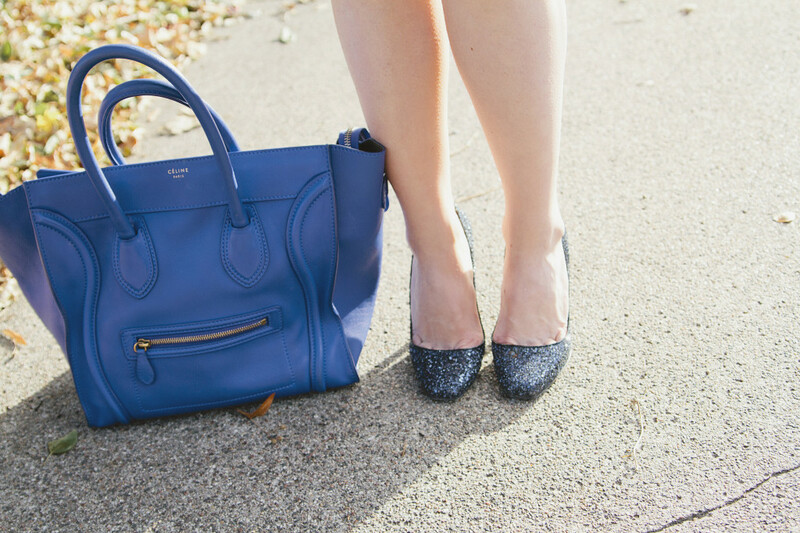 Blue glitter shoes by Jerome Rousseau . Celine Medium Luggage Handbag (can only be purchased at Celine Boutique). Layered bracelets from Shopbop & J.Crew. Prada Cat Eye Sunglasses. 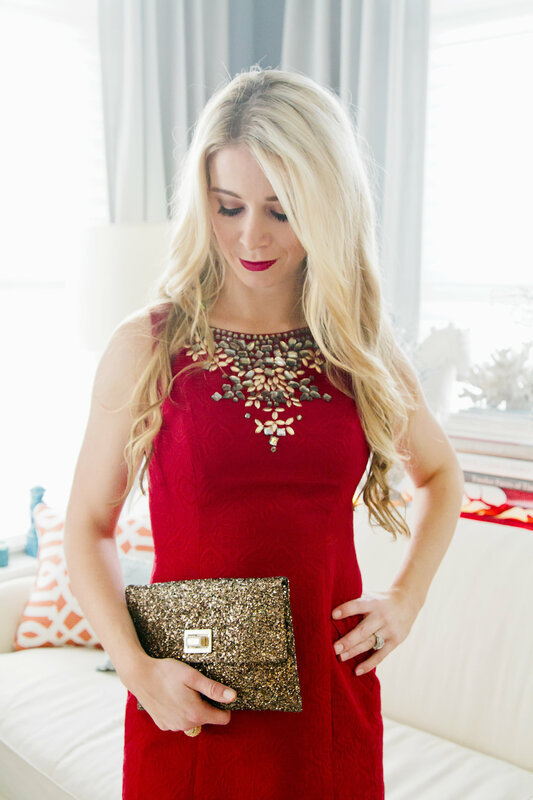 One: gold tassel necklace Baublebar, similar found here. 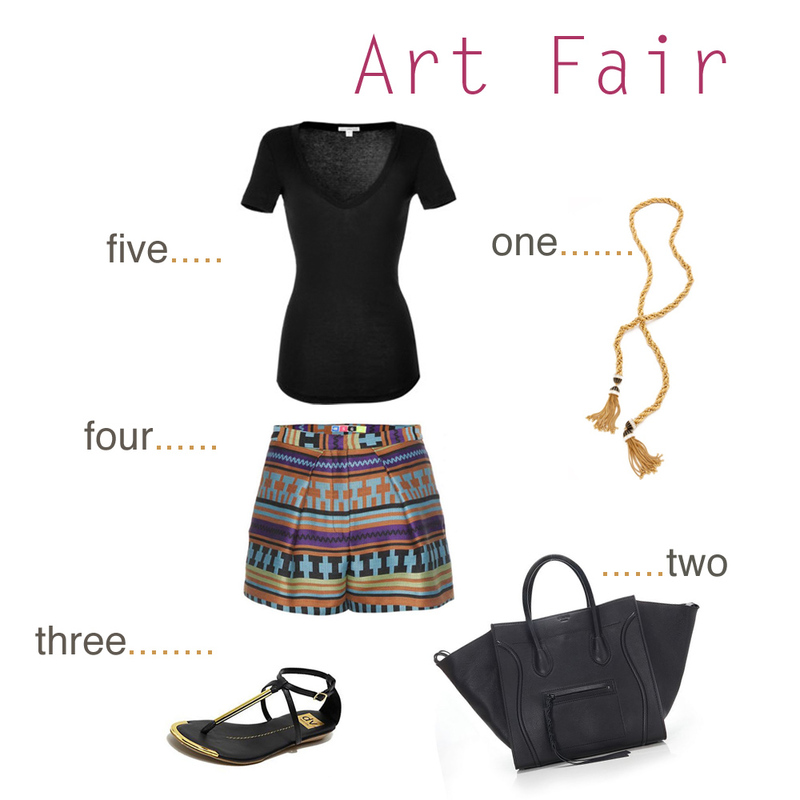 Two: black Celine Phantom handbag (can only be purchased at store) Three: gladiator sandals by Dolce Vita. Four: Aztec tribal printed shorts by MSMG found at my favorite Mpls Store- Arrow. Five: favorite scoop neck black t-shirt by James Perse. I also wore my favorite leather wedge black high tops from Hogan and my a strapless black blouse from Boulee. Day two of Art Basel was amazing and overwhelming. There is so many fairs, installations, and art to see. We started the day by going to my favorite fair Untitled. The show is right on the Ocean Beach with amazing views. We swung by our second favorite, Art Miami in the design district. In the evening we headed to the Opening of PAMM, Perez Art Museum Miami. With such a full day, I transitioned by day to evening look by swapping my black t-shirt for a silk off the shoulder Boulee blouse. I swapped by flats for a simple pair of black pumps.